Four men have been charged with bribing and attempting to shoot a witness to a 2010 shooting case. 35-year-old Charles Alexander, 42-year-old Troy Cooper, 37-year-old Aki Jones, and 21-year-old Shaheed Williams have been charged with Attempted Murder, Witness Intimidation, Aggravated Assault, and Conspiracy. In November 2010, gunfire erupted during an altercation among several women. A witness called 911 and Aki Jones was arrested. Police say that Alexander and Cooper tried to bribe the witness with $500 to not testify but he denied. On the morning of Jones' trial in September 2011, Williams shot the witness outside his home and hit him in the neck. The witness survived and is now in protection. He still plans on standing up in court to testify, now against all four defendants. 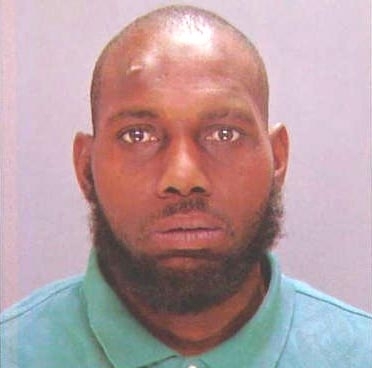 Police have arrested a man suspected in two child abduction attempts near the same grade school in North Philadelphia. 36-year-old Tyrone Ferguson turned himself into police on Tuesday night. (see photo below) On Monday, a man tried to take a 8-year-old boy outside the Mary McLeod Bethune School. The boy and his sister struggled with the man, as other students began to throw rocks to fend him off. Last Friday, also at Bethune School, a man grabbed a 10-year-old girl but she was also able to get away. Ferguson lives in the area. Police are trying to find a motive in the crime. Police in Montgomery County have arrested a Glenside man for allegedly burglarizing two businesses three days in a row a few weeks ago. The burglaries took place at the Luk Oil and Greenwood Auto Care, both located at 105 Greenwood Avenue in Wyncote near the Jenkintown train station. The robberies took place Thursday February 6th through Saturday February 8th. That area of Wyncote was significantly impacted from the February 5th snow and ice storm that hit our area and knocked out electricity to a record number of customers. The power had not yet been restored to that neighborhood at the time of the burglaries. Tools, cash, equipment, and cigarettes were taken. Police acted on a tip yesterday and executed a search warrant on a garage in Glenside. Inside they found most of the stolen items. Karl Beckman of Paxson Avenue was arrested and charged with the burglaries. Hall of Fame 3B Mike Schmidt joins broadcast team. Listen/Look for him during the 13 Sunday home games during the season. Clear and Cold, temperatures dropping through the 20's this evening in Center city.